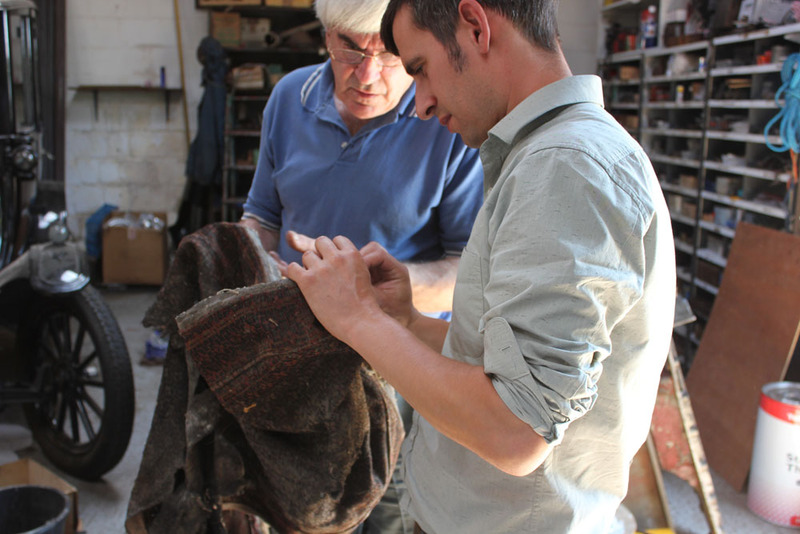 The Batle Bus project restoration team have been most fortunate to find the remains of an original moquette covered seat cushion from a B-type bus. Information gained from this remarkable discovery is proving invaluable in aiding the design and construction of our new seats. Moquette has been used on London’s buses since the beginning of the twentieth century right up to the present day, including the New Bus for London. It is a unique material, known for its hard wearing and fire resistant qualities and is well suited to the demands associated with public transport use. Another benefit is its good thermal properties, meaning that during summer months it stays cool and during the winter it feels warmer to the touch. The vibrant patterns cleverly conceal dirt, and enliven the passenger environment. 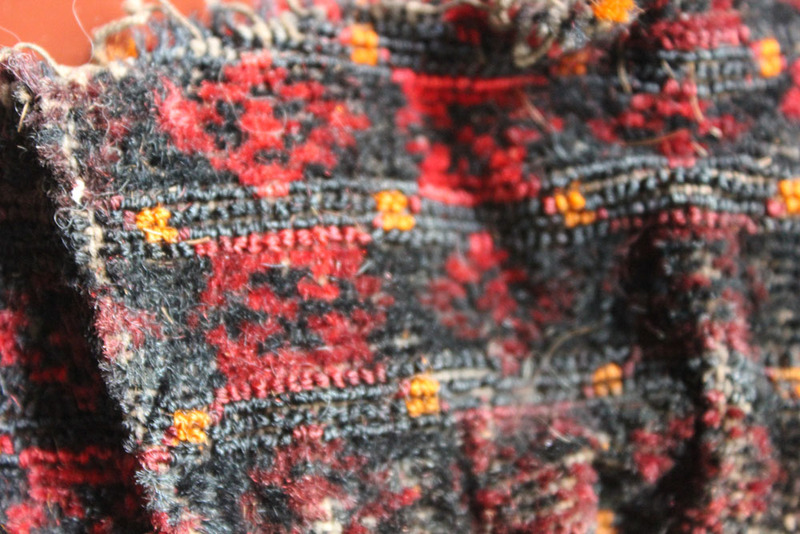 Interestingly, the company we are using to weave our new fabric produced the original B-type moquette in 1913. John Holdsworth & Co was founded in 1822 in the Yorkshire town of Halifax. As public transport proliferated around the country, Holdsworth & Co similarly boomed. Having been responsible for the original cushion fabric, it only seemed right to commission Holdsworth to reproduce this wonderfully authentic material 100 years later. Previous PostPoster of the Week: London ZooNext PostPoster Art 150: Top 10 posters…so far!